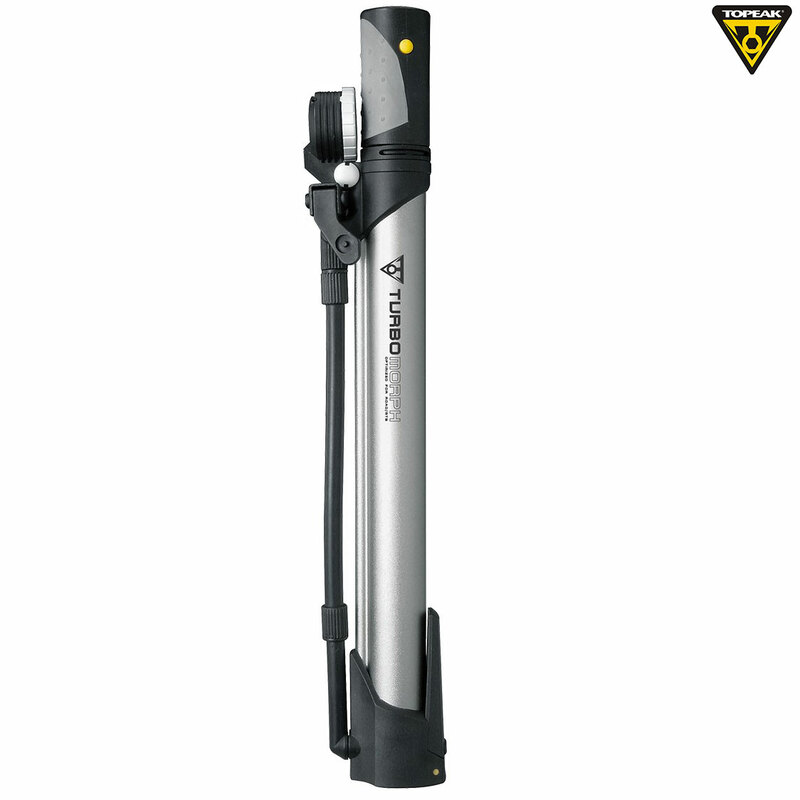 Light-weight but powerful, the Turbo Morph features a T-Handle, fold-down foot pad and flexible hose that turns this frame pump into a trail-side floor pump. Aluminium barrel for long pump life. Padded T-handle provides a comfortable hand position while inflating. Quickly converts between Presta & Schrader valves. Equipped with adjustable quick release clamp for multi-position frame mount. Easy to read top mount gauge with pressure indicator dial (reads to 160psi). Never had a pump like this before. Once set up for Presta (arrived configured for Schrader valve), it inflated effortlessly. Appears to be very well built so I have faith that it will go the mileage. Worth the price.